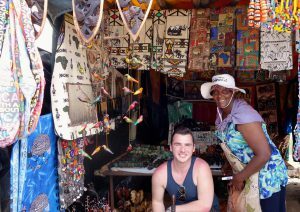 Mason Kramer visits an African market. 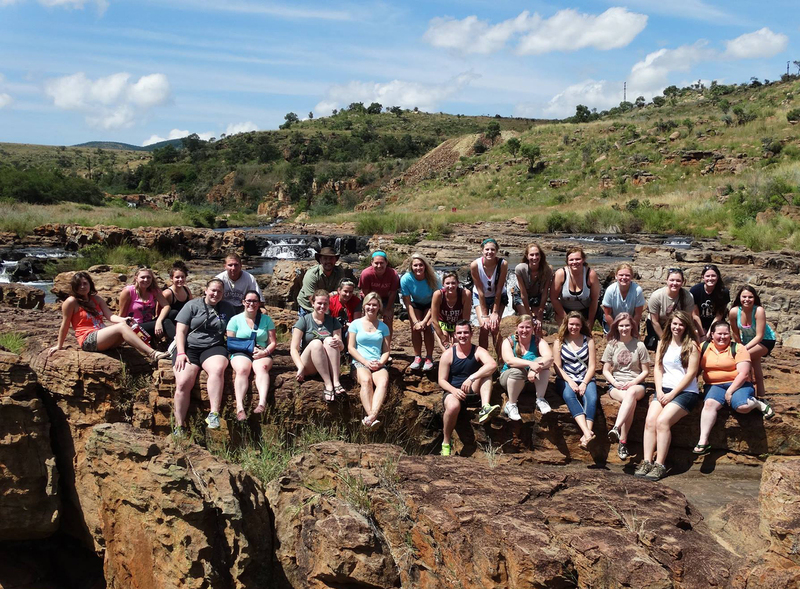 Thirty-three travelers from William Woods University experienced authentic African cuisine, music, dancing and culture during a spring break visit to South Africa March 18-28, as part of the Woods Around the World program. “At William Woods University, we view education as a journey of discovery … we believe the very best journeys are fed by curiosity in the world around us,” said Travis Tamerius, director of WWU’s Center for Ethics and Global Studies, university chaplain and adjunct instructor of cultural diversity. 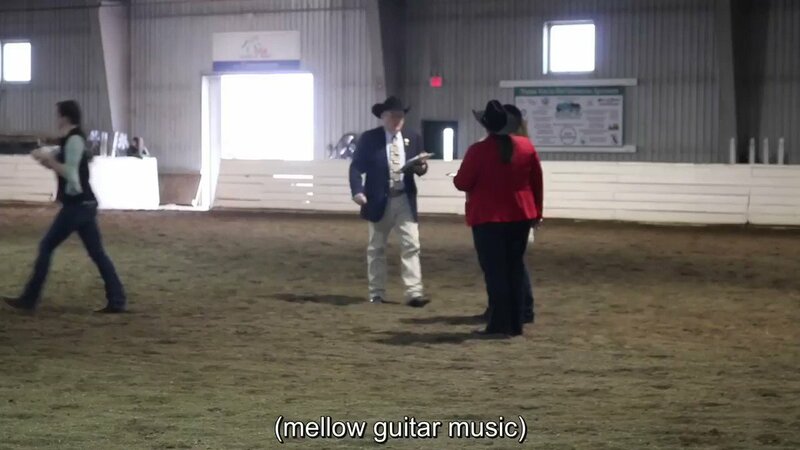 “Woods Around the World (WATW) is a unique approach to education that takes the student beyond the classroom and the textbook and into the real world of another culture—out of a classroom of walls and into the classroom of the world,” he said. 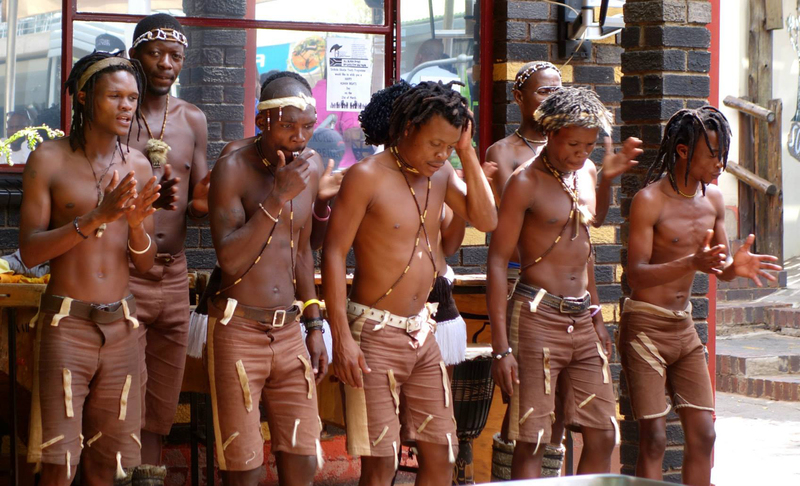 Street performers entertain the visitors on their first day in Johannesburg. 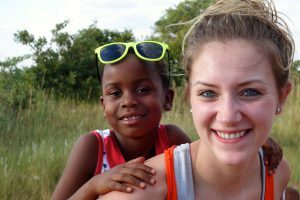 The travelers included 23 students, five faculty members and five family members (a father, a mother, a brother and two faculty spouses). Street performers of various talents entertained the group on their first day in Johannesburg. Their itinerary included the Apartheid museum, NelsonMandela’shome and Desmond Tutu’s previous residence. The localSutu guide, Queen, showed the group where the student protests occurred and gave them the history of how Johannesburg was formed by a large meteorite strike millions of years ago. 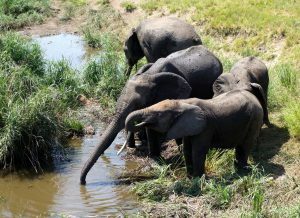 After a day in Johannesburg, the group boarded a coach bus to the Timbavati Safari Lodge. 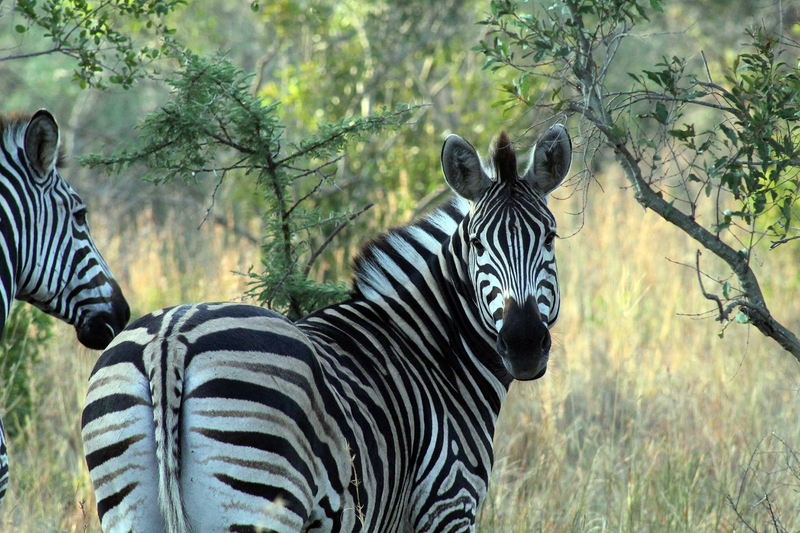 A bush walk provided the group’s first exposure to South African wildlife: bush bucks, zebras, a giraffe and warthogs. The next morning, they jumped on safari trucks and headed to Kruger National Park, where they saw elephants, impalas, giraffes, mongooses, kudus, lions, hippos, rhinos, water buffalos, baboons, vervet monkeys, hornbills and ostriches. One group even caught a glimpse of some speedy cheetahs. At the Sihlekisi village, they met with the local witch doctor, toured the area and spent some time walking hand-in-hand with school children. Tamerius presented a check from the proceeds of Project 123’s annual “Kids Hoo Care Camp” to help with school improvements in the Sihlekisi village. “We had an excellent team of student travelers who reveled in the stunning landscapes and dazzling array of animals and who learned a lot from the inspirational stories of those who challenged the racism of Apartheid,” said Tamerius. Taylor Finkel gives a piggy-back ride to a child in the Sihlekisi village. 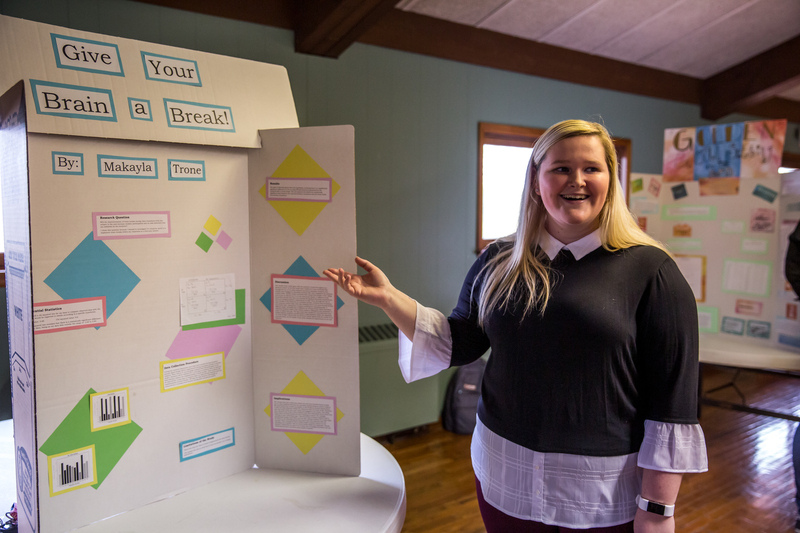 “My favorite part of the trip was being able to visit the village,” said Caroline Boyer Ferhat, assistant professor of psychology and chair of the Arts & Behavioral Sciences Division at WWU. Baylie Borman makes new friends in the Sihlekisi village. Each traveler took something special from the South African adventure. 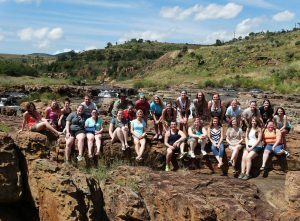 On the way back to Johannesburg, the group stopped at God’s View, the Potholes, Blyde River Canyon, and did a bit of bartering with the local shopkeepers. 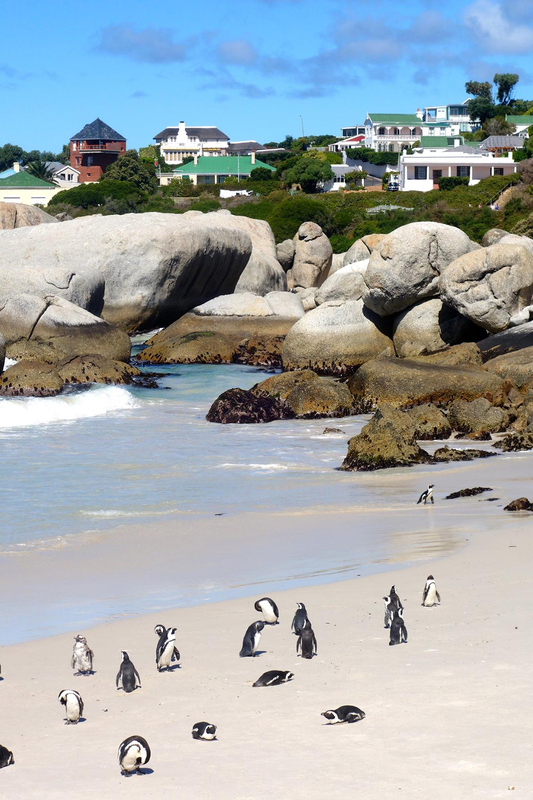 After spending a few days in Johannesburg, the Woods Around the World travelers flew to Cape Town. The group took a cable car to the top of Table Mountain, where they dined at a mountain top cafe and stood amongst the clouds. The next morning, the group loaded onto a ferry to Robben Island, the place of Nelson Mandela’s political imprisonment. They toured the prison and saw a few seals and penguins along the way. The rest of the day was filled with a visit to a castle and the animal museum/planetarium. 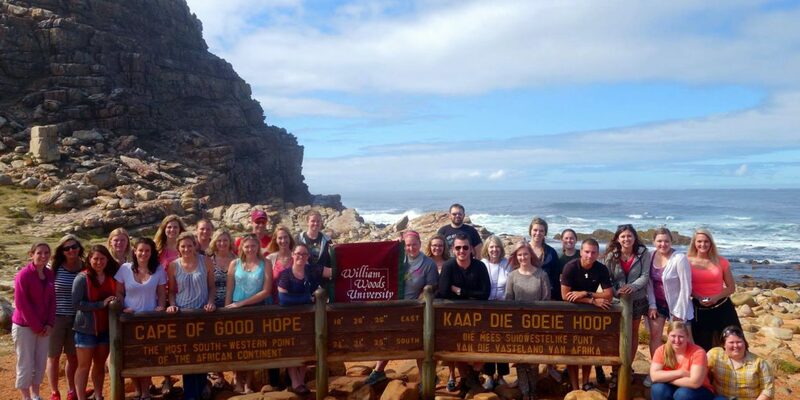 Next, the group traveled across the Cape Peninsula to Camps Bay, Hout Bay, False Bay, Cape of Good Hope and Cape Point. The group hiked, or rode the tram, to the top of Cape Point to see a lighthouse and look out over the Atlantic and Indian oceans. They visited African Penguins, the Kirstenboch Botanical gardens and enjoying a farewell dinner. 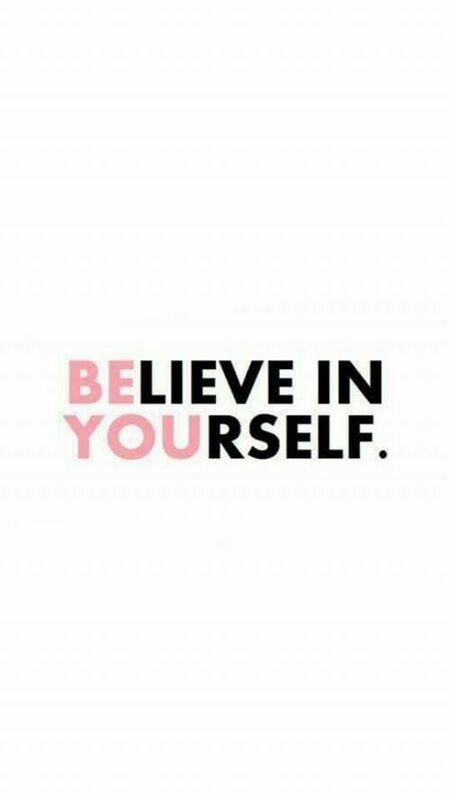 “There is something about wide open spaces engulfed by nature and beauty that have always made me feel free, almost like I can fly. 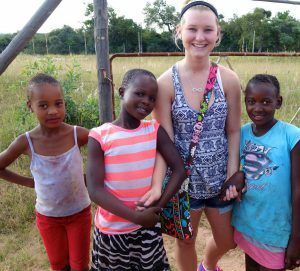 This is what I loved about my trip to South Africa with Woods Around the World,” said Aria Eubanks, a junior from Naperville, Illinois. Woods Around the World is in its ninth year. Previous trips have included Peru, the American Civil Rights trail, a Holocaust tour, Italy, France, Scotland, England, Ireland, Greece, Turkey and an Indian reservation in South Dakota. 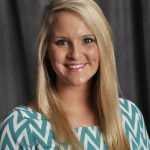 For more information on Woods Around the World or Project 123, contact Tamerius at travis.tamerius@williamwoods.edu.